739 E. Cesar E. Chavez Blvd. With its stunning historic architecture, verdant live oak and mesquite trees, and rolling hills, beauty can be found just about anywhere in San Antonio. Yet the best place to see it all is from 750 feet above ground at the Tower of the Americas, the tallest building in the Alamo City and one of its most popular attractions. Enjoy breathtaking views of downtown San Antonio and beyond, delicious food, and fun for the whole family at Tower of the Americas, located in Hemisfair Park just a few blocks from the River Walk. See for miles in every direction or zoom in close on the city using the binoculars installed on the deck. Photographs on the deck floor will help you identify points of interest around the city, while historic photos help tell the story of the area. You’ll also learn the history of the powers that have ruled Texas since its founding via the murals that line the walls, as well as pre-recorded audio presentations from various points on the deck. If you catch a whiff of something that makes your mouth water, it’s probably coming from the famous Chart House Restaurant a level below. This revolving eatery is as notable for its award-winning menu as it is for its spectacular views. As the world rolls by far below, you can savor a juicy steak or some fresh seafood that you can pair with one of the reds or whites from the meticulously curated lineup of wines. Don’t worry; there’s plenty of dessert options too. For downtowners looking for a fresh place to hold the office happy hour, the restaurant’s Bar 610 offers discounted appetizers, cocktails, wines, beer, and martinis. Several incredible 4D film experiences are part of the experience when you visit the tower. The riveting Skies Over Texas 4D Theater Ride transports you across the Lone Star State as you watch a short film in 3-D, accompanied by a seat that rocks and rolls to scenes of a Friday-night high school football game, astronauts working on a space shuttle at NASA, and more. There are also two new 4D experiences your whole family will enjoy. Rio - When the last blue macaws on Earth, Blu and Jewel, are captured and chased by evil cockatoo Nigel, they must work together despite Blu’s inability to fly. This unexpected duo takes you on a thrilling 4-D journey through Rio de Janeiro, finding courage, friendship and maybe even love along the way. Ice Age: Dawn of the Dinosaurs - You will slip, slide, and soar with our sub-zero heroes in this 14-minute experience. Manny, Ellie and Diego venture into a mysterious underground world after Sid the sloth stumbles across three abandoned eggs and decides to raise the baby dinosaurs as his own." The family fun continues every Friday night from June through October during the Party on the Plaza events that include food and drinks, live music, and bounce houses. Private events are also welcomed at the tower, with two private dining rooms on the Observation Deck level and catering available from Chart House Restaurant. 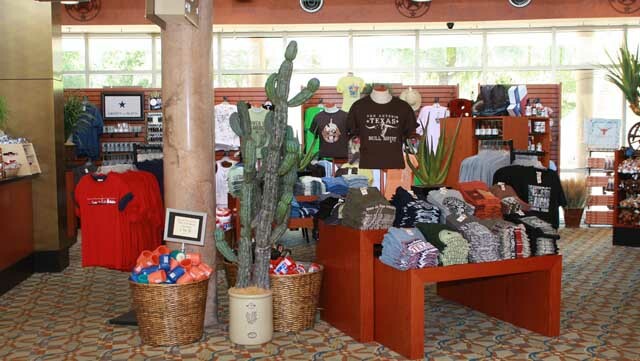 Before you go, stop by the tower’s gift shop at the base of the tower and browse the collection of souvenirs and a wide selection of Texas-themed apparel, headwear, toys, and home decor. If you swing by on your way into the tower, you can have your picture taken in front of a fun backdrop of a local landmark that will be waiting for you after your tour. Put it in an album along with all the other amazing pictures you took from the top of Tower of the Americas, the highest-flying venue in Alamo City.